Born in Dallas, Texas in 1952, David Bates studied at Southern Methodist University, earning a BFA in 1975 and an MFA in 1978. In 1976, he participated in the independent study program at the Whitney Museum of American Art. Bates’s paintings, sculpture, and works on paper explore his deep affinity for the South, its people, and the physical and cultural landscape, especially the Grassy Lakes region of western Arkansas and the Texas Gulf Coast. In his work, he blends the influence of European and American modernists with his lifelong love of folk art. In 2005, Bates turned his attention to the aftermath of Hurricane Katrina, depicting the destruction of New Orleans and the effect of the storm on the city’s people. 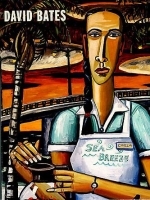 This body of work was most recently on exhibition in David Bates: The Katrina Paintings at the Kemper Museum of Contemporary Art, Kansas City, MO, and the Knoxville Museum of Art, Knoxville, TN. 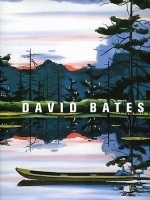 Bates’s work has been exhibited in numerous solo exhibitions, including David Bates since 1982: From the Everyday to the Epic, Austin Museum of Art, TX; David Bates: Paintings & Reliefs, The Dallas Center for Contemporary Art, TX; and David Bates, Forty Paintings, Modern Art Museum of Fort Worth, TX, which traveled to The Delaware Art Museum, Wilmington; The Duke University Museum of Art, Durham, NC; and The Contemporary Museum, Honolulu, HI. He has been included in countless group exhibitions, most notably the 1987 Whitney Museum of American Art Biennial. 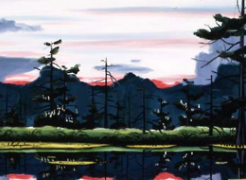 His art has also been the focus of a number of important publications. In 2007, the Museum of Modern Art, Fort Worth, TX, in association with Scala Publishers, Italy, produced a monograph on the artist’s 30-year career. Bates’s work is included in the permanent collections of the Corcoran Gallery of Art, Washington, DC; High Museum of Art, Atlanta, GA; Hirshhorn Museum and Sculpture Garden, Washington, DC; Metropolitan Museum of Art, New York; Museum of Modern Art, New York; Smithsonian American Art Museum, Washington, DC; San Francisco Museum of Modern Art, CA; and Whitney Museum of American Art, New York, among others. 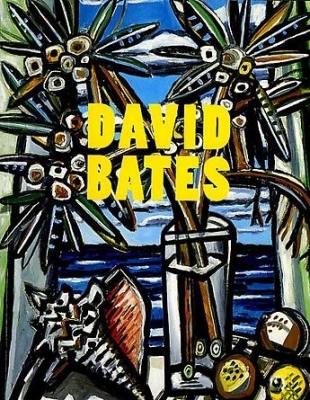 David Bates continues to live and work in Dallas.